Well yesterday we stopped at Waitomo so people could visit the different caves and do climbing and absailing in them. It was quite expensive so I decided to just do the free option which was going for a walk through the rainforest and countryside, it was so beautiful. Once the people caving came back we headed on towards the Maori cultural home-stay. It is a man called uncle boy and he basically has a meeting house for his tribe where he let's groups stay. Firstly we ate, then we went and watched a cultural show. 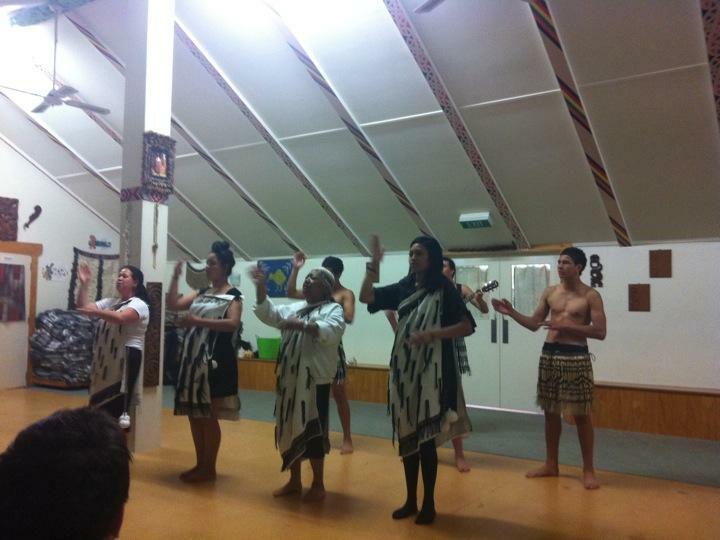 The group were so cool, the males did the haka and then they all sang and danced. After the males in our group were taught the haka and all the females learned a dance with poi. We then had to perform these in front of each other. The poi were surprisingly hard!! To sleep, we all slept in the meeting house, using mattresses on the ground. Today we are heading back towards Rotorua to do the White water rafting. Wish me luck!! !